Specially designed to ensure only the minimal amount of shampoo is used, every time. 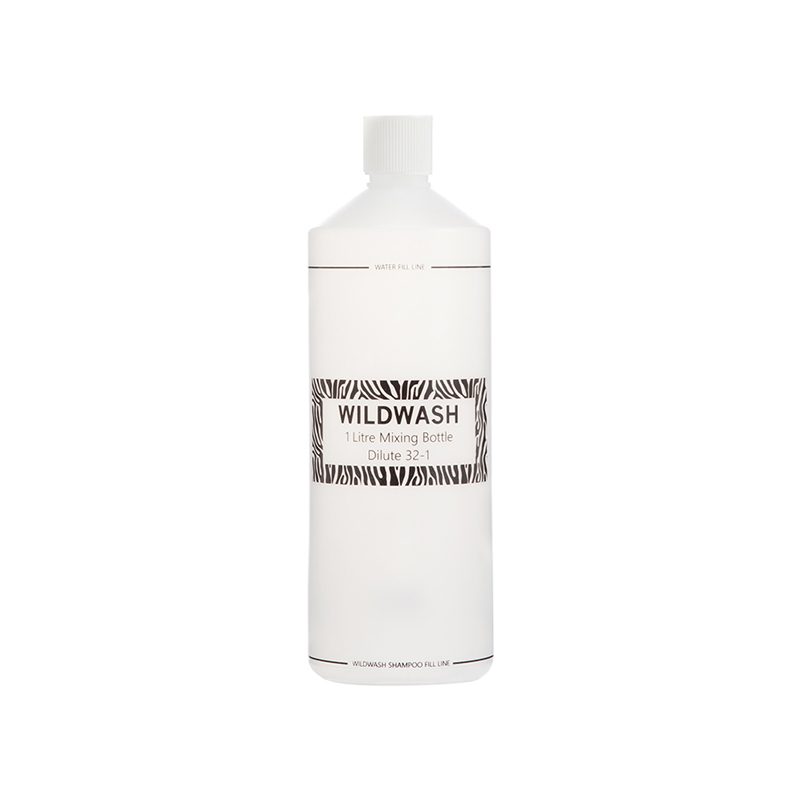 All of our WildWash Horse Shampoos have a dillution rate of 32 to 1 which means they last a very long time. We have designed a WildWash Mixing Bottle with the exact shampoo to water ratio. Simply fill with WildWash Shampoo to the shampoo fiil line and then add water to the water fill line and mix. Pull up the nozzle and cover your horse with the mix, then lather, wash and rinse. This makes bathtime easy, quick and straight forward for you and your horse.